Tequila is made from the fermented and distilled sap of the blue agave plant and was the first distilled spirit on the North American continent. Most all tequila producers are located in and near the Jalisco State of Mexico. In the 1500s, the Spanish adapted the indigenous drink pulque, fermented from the maguey plant, into mezcal, which was eventually distilled into the tequila we drink today, using agave. Cuervo would be the first distillery to bottle tequila in the late 1900s when others were still using barrels. Tequila is given a category based on age and color. Blanco (white or silver) is un-aged tequila, while “Gold” tequila is bottled young. Rested tequila is aged in oak for at least two months and Añejo has aged for a year or more. To be classified as tequila, it must be made from no less than 51% Weber blue agave. The finest tequilas are 100% blue agave distilled for about nine years. It can still be high quality if not 100% blue agave, but when it falls in the 80-85% range, it is more standard fare. It also doesn’t have to be aged more than a year after distillation, but the older the tequila, the smoother it will be. The recommended places below will be able to offer expert advice on good quality tequila. When you rent your Cabo San Lucas vacation rental, you also have the option to hire private tequila tastings. One of the best dining operations in Cabo, Pancho’s is likely the first name you’re given when you ask about finding good Tequila. Pancho’s provides tasting classes as well. 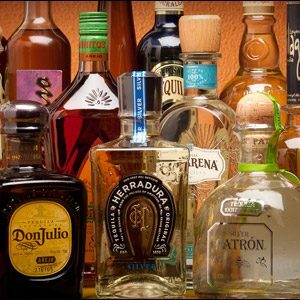 Offers the best tequilas nationally and internationally where you can try each one in the tasting each Friday. A cigar shop to buy authentic Habanos (Cuban Cigars) but also specialized in Premium Tequila and Mezcal tastings. Nice variety of tequilas with samples available. Located behind Solomon’s Landing in the Tesoro resort. Habanero’s will happily provide guidance to more novice tequila tasters. The bar has received an award for its know-how from the Mexican Tequila Regulating Agency. This unique store is filled with handcrafts, designer linens, fine leather and unique beverages but Antigua Los Cabos also offers complementary tequila tastings. You will learn about top notes, undertones and finishes of these premium distillations. They feature carefully selected tequilas and tequila-based liqueurs. Habanos and Tequilas. Unique bottles, good selection (260 tequlias), specialty almond, coffee and tequila liquors and hand crafted miniature white oak barrels. Free tequila tastings daily with 52 tequilas to choose from. – Costco for the best price and a very good selection. – Europa located at the mall on the marina. You can take back 2 bottles per person for checked baggage only.